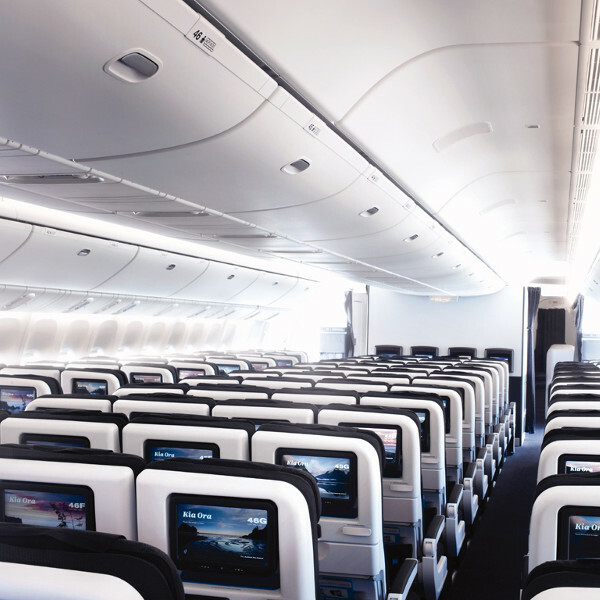 Air New Zealand has won numerous awards on many platforms, including the 2016 SkyTrax “World’s Best Premium Economy Class”, 2014 “Best Business Class Airline” award, and “Airline of the Year” consecutively. 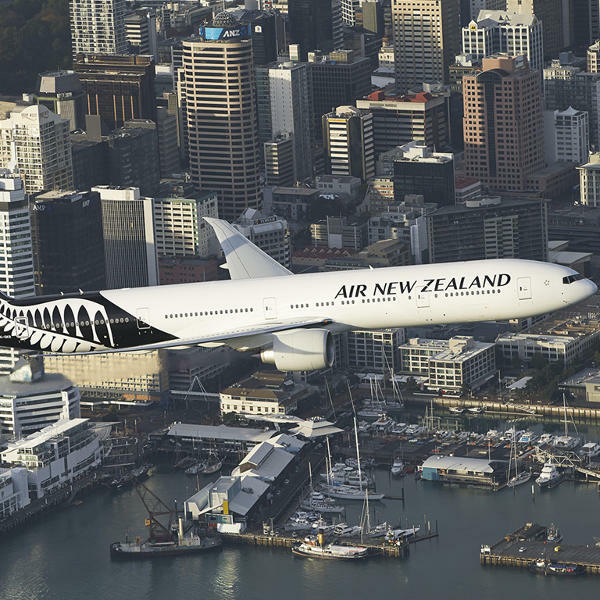 Air New Zealand Limited (ANZ) is New Zealand’s largest airline and, along with the acquisition of Ansett Holdings, has made ANZ one of the largest carriers in the world. ANZ's loyalty programme Airpoints™ Dollars is a world first, where customers can use their Airpoints™ Dollars to book any seat, at any time, on any Air New Zealand ticketed and operated flight. It all began over 70 years ago in April 1940 when Tasman Empire Airways Limited (or TEAL for short) began a flying boat service which rapidly progressed into an international network. Fast forward 25 years and TEAL gets a facelift and a name change, dubbed Air New Zealand, swapping boat planes for aircrafts. Just like that, New Zealand’s national carrier was born. A merger with NAC and the New Zealand government's privatisation of the airline by a consortium headed up by Qantas, Japan Airlines and American Airlines has taken the carrier to new heights. Air New Zealand now operates scheduled flights to 22 domestic and 31 international destinations around the world. 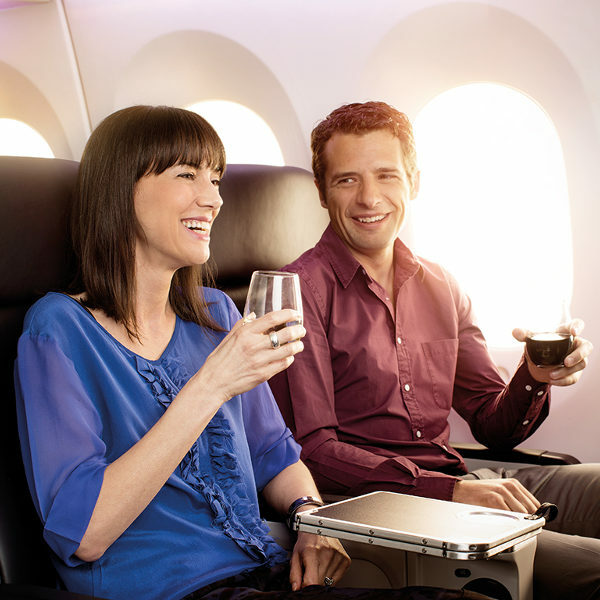 Book Air New Zealand flights to Cape Town, Johannesburg, London and other exciting places! Economy Class travellers may take on board 1 bag and 1 accessory item (laptop, handbag) not exceeding a total weight of 7kg. Premium Economy, Business travellers, and members of Airpoints™ Gold, Elite and Star Alliance Gold are allowed 2 bags plus 1 accessory item, not exceeding a total weight of 14kg. Domestic flight passengers are limited to 1 piece of checked baggage not weighing more than 23kg. For international flights, Economy passengers are allowed 1 piece of checked baggage, while Premium Economy passengers are allowed 2 pieces. Business Class passengers are allowed up to 3 pieces of luggage. Each bag may not weigh more than 23kg, regardless of class. Any item over 32kgs, or total linear dimensions (length + width + height) of 158cm will not be accepted as checked baggage and will require repacking. Air New Zealand allows domestic pets (cats and dogs) and small caged birds to travel as checked baggage on domestic routes. Visit their website for policies and regulations on travelling with pets. Air New Zealand offers its customers the option of checking in online or at the airline desk at the airport. For airport check-in, international travellers are required to check in 90 minutes ahead of departure, unless travelling to the USA (including transit), which requires 2 hours prior to your flight. The Air New Zealand online check-in option opens 24 hours before your flight. Bag drop closes 30 minutes prior to domestic flights within New Zealand, and 60-75 minutes prior to international flight departure. From the latest blockbusters to classic movies, the Inflight entertainment system has an extensive range of movies, available in multiple languages. Choose between music bouquets, documentaries, radio shows, audio books, interactive games and children’s programmes to keep the whole family entertained while you reach your destination. Sink into your chair and catch up on your favourite shows. You can even order food and drinks from your screen! Surf while you fly. Keep in touch with your friends and family, or keep abreast of your emails from the comfort of your seat. The group of chefs and wine connoisseurs have designed innovative menus to reflect the fresh, delicious cuisine of New Zealand. Air New Zealand caters to all sorts of dietary and cultural requirements, and special meals must be pre-booked at least 24 hours in advance. Air New Zealand boasts a fleet size of 54 aircraft which commute travellers to 22 domestic and 31 international destinations across 19 countries around the Pacific Rim, Europe, Canada, Asia, and North and South America.